UBC Library has transitioned from the use of special purpose copy cards, to a one card system. Faculty, students, and staff who wish to make photocopies or print documents from the library will use their UBCcard. 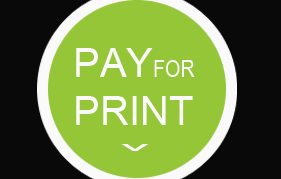 The Pay for Print service requires an activated UBCcard account. You can do this at the http://payforprint.ubc.ca link labeled “Add Funds – UBCcard” . Access is via your CWL username and password. Anyone who would like reimbursement for funds left on an old copy card should go to the reception desk in the Library Administration office on Level 2 of the Irving K. Barber Learning Centre from 11:00 am – 2:00 pm. The deadline for refunds is October 31, 2014. For more information, see the Print, Copy, Scan or contact a staff member at the Circulation Desk. UBC Library is in the process of transitioning from the use of special purpose copy cards, to a one card system. Faculty, students, and staff who wish to make photocopies or print documents from the library will use their UBCcard. The Pay for Print service requires an activated UBCcard account. You can do this at https://www.ubccard.ubc.ca. There is also a link labeled “Add Funds – UBCcard” at http://payforprint.ubc.ca. Access is via your CWL username and password. Anyone who would like reimbursement for funds left on an old copy card should go to the reception desk in the Library Administration office on Level 2 of the Irving K. Barber Learning Centre, during office hours. For more information, contact a staff member at the Circulation Desk.